Because we manufacture our own products, we’re able to offer something extra to our customers – a Custom Chemical Formulation service. So, even if you’re unable to find the right product within our extensive Velocity Chemical range, we have the skilled staff available to re-formulate our products to find the one to do the job perfectly. Whether you have your own formula or need us to create one, be assured that Velocity Chemicals will partner with you to help you achieve it – precisely, safely, economically and considerably faster than most customers themselves can. 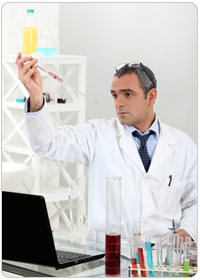 To enquire about custom formulation, click here.